With a couple of narrow gauge projects lurking on my to do list, I wanted to get a feel for what the current state is within MSTS. NB: I'm talking about "normal" NG, not the scaled up 2x size stuff I've seen on UKTS. Obviously we have X-Tracks for the notional UK 2ft gauge stuff, but is there a viable pool of suitable motive power and rolling stock to make such an undertaking worthwhile? 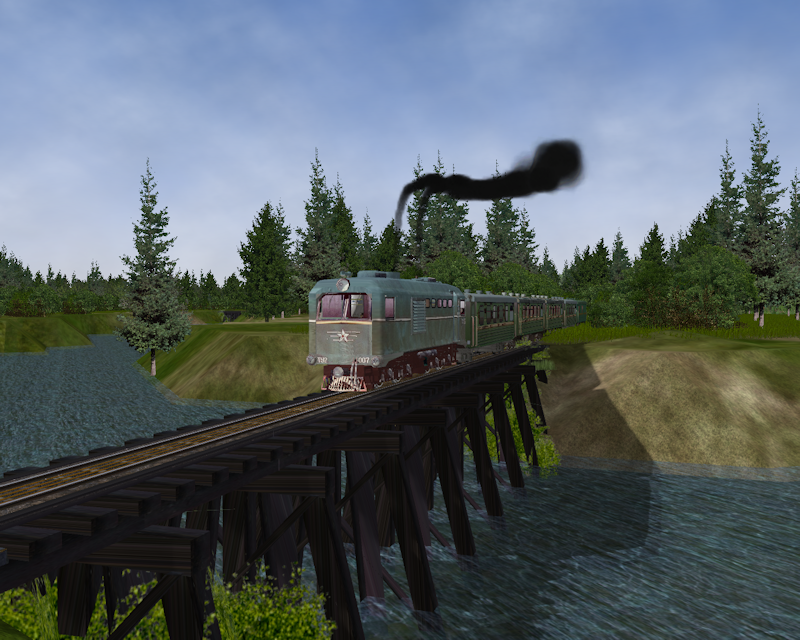 My interest lies more in the quirky and unusual, such as the Duchal Moor or Dalmunzie railways in Scotland, both of which I built a replica in one of the other sims. The grail would be reconstructing the Lochaber NG Railway but that's a longer term ambition. Sand Hutton in England also on the radar and I quite like the look of the old Plynlimon line in Mid-Wales. I believe the Ffestioniog and Welsh Highland have been done, possibly to 2x scale, though of course that leaves the likes of VoR and W&L to consider. This is a list of the locos I have installed which meet this criteria. W&LLR 6 0-4-0T 0-4-0T articulated "Monarch"
I've started up a small test route in the Editor, the only snag I can see so far is that all the UKN point sections are manual switches so not sure how that will play out if/when a route ever gets to the stage of creating activities for it. Well the test route was Dalmunzie but had to put it aside as the gradient to get up the zig-zag and subsequent hill was beyond that which you can lay track in MSTS. Probably wouldn't have got a train up there either! Now looking at Plynlimon and Hafan, first challenge being to peg out in Google Earth where a line that closed 100 years ago ran - though most of the upper section is still quite well defined I had to resort to Rail Map OnLine to get the vectors on the lowland part. Will post in due course if the project is a goer or not. Thanks for the link, and perhaps it could be added to the "Useful Links" area of TSSH! Link added to useful links. Thanks for that Mark, as well as the guide to picture posting. As an aside for the latter if you want to insert more than one picture from your computer all need to do is highlight all of them and then click on "SendAll"! I have updated the text to include highlighting the pics. Glad the Railmap link was useful - it's an extremely handy resource, lots of interesting and obscure routes on there to try and build. They also have a western USA map which also reveals quite a few intriguing lines, but not enough time in this life to build them all, unfortunately. Plynlimon extracted and set up okay with the first sections of track laid. I hope it does come together as 2016 has been a fallow year for me so far. Lots of projects started (not just in MSTS) but all seem to have fizzled out. Excellent news, and I look forward to hopefully seeing reports and pictures of it's development. Too early for screenshots yet, but track pretty much successfully laid albeit with a pretty constant gradient of 1 in 24/1 in 25 From Pontreben up to Hafan (Lower). Access to Hafan Upper was via an inclined plane similar to that on the Rosedale Line in Yorkshire. Can't do that in MSTS so have used artistic (modellers?) licence with a zig-zag and spiral tunnel to get over the saddle. Not prototypical but a homage (if you like) to the rabbit warren ng layouts of the 70's. 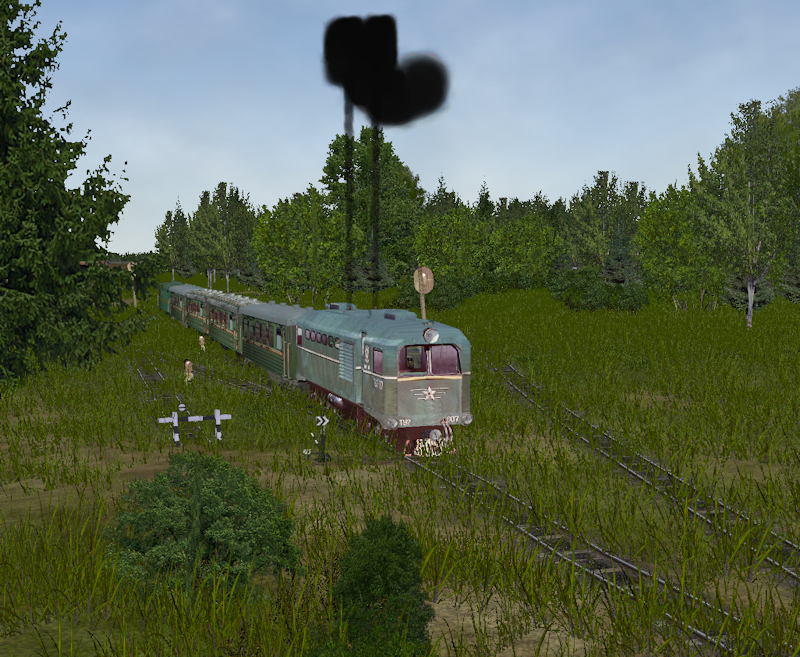 Currently amending the ref files of the Russian trees to remove the Cyrillic text and letters as these cause problems in MSTS and Route Riter. Long job and did it previously but lost the files in my laptop crash back in August. This time, I'll back them up. Haven't decided what to do about terrain texture yet. MSTS still lacks a really good set of alternate UK textures that aren't linked to payware and my artistic skills aren't good enough to start making custom textures, especially as "seamless" cut in Paint Shop Pro isn't exactly seamless. I might give the Trundra ones a run but will need to modify some to provide rock and upland elements which sadly the author never included in his otherwise excellent set. Sounds like you're already made a lot of progress. From a screenshot point of view I would appreciate early pictures showing the development of the track layout. Also hearing about the compromises and tweaks that are necessary to help create the feel of the original are always of interest. OldVern wrote: Well the test route was Dalmunzie but had to put it aside as the gradient to get up the zig-zag and subsequent hill was beyond that which you can lay track in MSTS. Just picked up on this Vern.. Please forgive me if I've picked up the wrong end of the stick, but your post implies that you don't think that you can elevate track sections above 3 degrees in RE, ... however, in fact you actually can, using F4, the mouse and the 'T' key. (See p66 of M Vones route building guide) There is no limit on the slope angle that you can actually lay track, but you will get some whacky looking track joints if you use curved sections, so best suited to just straight sections. I'm pretty sure that Doug (Kightley) used this method to great effect on his Snowdon Mountain railway route. The great Orme tram route has also got a very steep gradient. I once (for a bit of fun) used the steep gradients to do a complete loop the loop, and ran a little speedster round it to see what would happen, after 45° the train flipped to the other side of the track, so it was always on top, it flipped back again on the other side of the loop. I hoped the train would have run upside down on the upper part of the loop with a view to creating a realistic roller coaster, but MSTS doesn't allow upside down trains. I do recall reading about the ability to elevate track beyond the 3 degree (or about 1 in 17) mark so I'll check that out. Whether any stock item is driveable up that gradient is another matter! 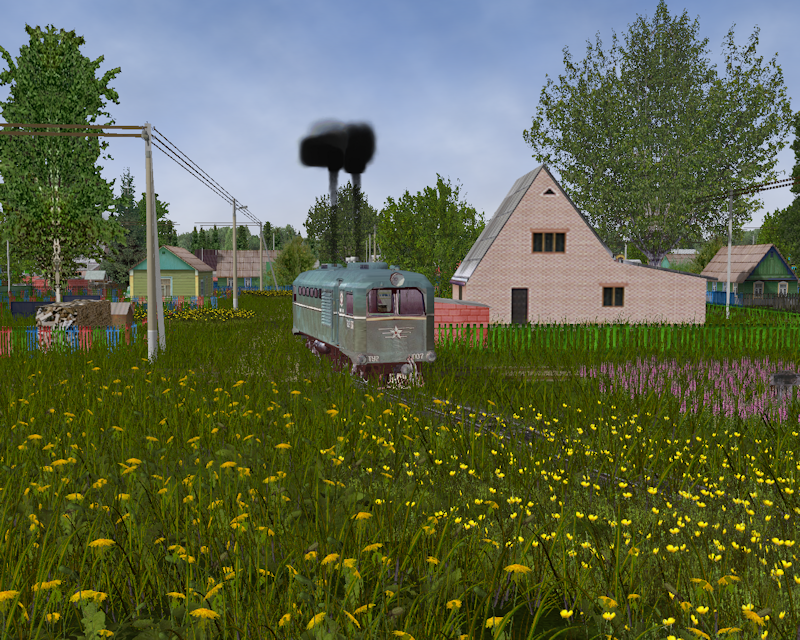 Unfortunately I had a bit of a setback this afternoon... After finishing importing the Russian trees I decided to bring in a few objects from my other old routes. I must have missed a couple of the Cyrillic letters as Route Riter threw a wobbly when it tried to write the reference file and everything from that point was deleted with a wall of Chinese or Japanese script underneath it. I'm hoping the damage is not critical and will see if I can fix it tomorrow (with luck just a case of copying back the missing references and checking for that rogue Cyrillic letter). The Russian trees are good and I was in the process of choosing some to use as forest objects but it's a real PITA the author(s) didn't write the file descriptions in the Roman alphabet. Just a small update, not going well I'm afraid. Went through the ref file with a fine tooth comb to eliminate any residual Cyrillic lettering (this time taking a backup). Did a test run with Route Riter to import objects from another route and same thing occurred, it aborted with a block of Chinese text at the bottom. So I deleted this file and had Route Riter try to build a reference file from scratch, but it seems it only looks at shapes in the route to do this, not in the shapes folder. I've set it aside for now to work on the same project in one of the other sims, may return to it in a few weeks or may start over with something else. This is the second time trees from the Russian site have tripped up a project, appears even with the Cyrillic elements taken out some part of the reference entry is interfering with Unicode and causing RR, Java or both to fall over. The conclusion being, if you want to include the Russian trees in a route, don't expect to use Route Riter. If you want to use Route Riter, don't use Russian trees - which is a shame as they are some of the best looking I've seen, even better than Trundra. Have you checked inside the .sd files? the Cyrillic text may be referenced to in there, if so, just change the .s reference in the .sd file to whatever you have called the shape file. If any .thm files are present, you can delete those, they may possibly reference the Cyrillic text too. Can try that Mark, but would Route Riter even look at those when processing a file copy? With the vegetable items there are over 100 sd files from the various plant collections. I don't know whether anyone else in the group has attempted to use these items (which are from trainsim.ru reputable so far as I can see) but would be interested to hear if they've had any similar issues. But you'll be a man, my son. And start'd all over again. Believe it or not I bring this to mind when one of my wagons or coaches goes haywire! The .sd file (Shape definition) probably is used by routeriter as it needs to copy them as well as the shape file, so it will be necessary to edit them if you have changed the shape file names. I have downloaded lots of things from trainsim.ru over the years, including routes, stock, and scenery, never had any problems with them. I'll download the trees and have a closer look at them. 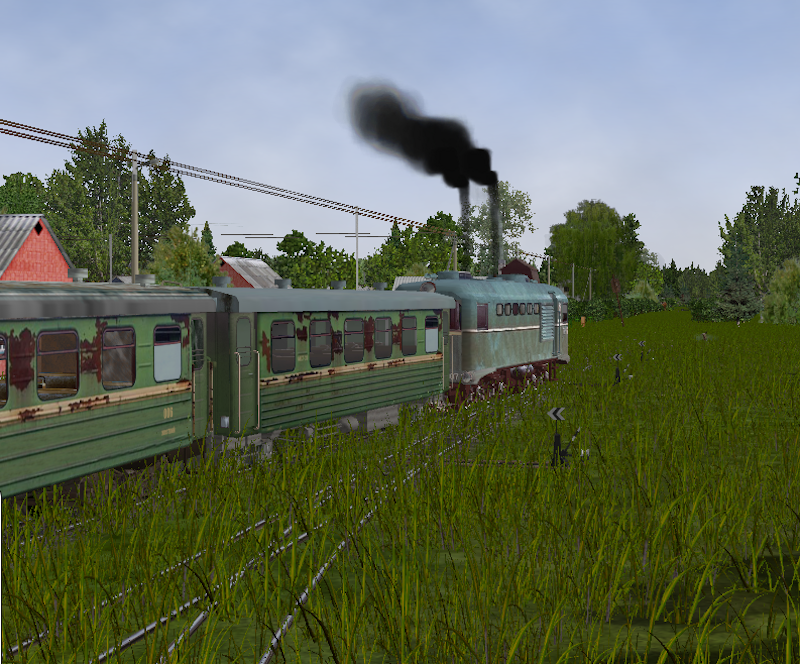 If you like narrow gauge railways, take a look at the "Industrial community" route on trainsim.ru, it has rough overgrown tracks like many narrow gauge lines had, it is one of the best NG routes out there, the trains are run down and rusting to compliment the state of the track, only the city area has clear well maintained track, whoever built it did a great job of recreating a run down poorly maintained route. (make sure you download all the patches and install them in order to get the whole route) any 750mm stock is suitable for it. I'll certainly check that route out. I like the look of the Russian ng, especially some of the old forest railways which haven't seen track maintenance or weed killer for years. With regard to my problem with the trees, just to make it clear these were installed to the route from the archive files not by transfer from another route. It's the subsequent items I was trying to bring in which tripped up Route Riter. Had a nice chuckle at the musical interlude (though my tastes run more to prog rock and melodic metal), quite right too - it's only a route, the only thing damaged is a few bytes of information and worst case scenario is starting over or moving forward on to something else. I have downloaded the trees and plants (strangely vol.2 is missing) I have checked all the files, none of the .s/.sd/.ace files had any Cyrillic text at all, the ref file is the only place where there is any, and that is only the description name. I'll translate the Russian into English in the .ref file, (probably tomorrow) and load them into a test route, place a few trees then run it through routeriter and see if I can replicate the problem you are having, and if so then I'll see if I can find a fix for it. EDIT: I'll try copying some files over too. Your findings concur with mine, then Mark. Does Mike Simpson frequent this board? I know he's semi retired from Route Riter now but it would be useful to have his insight into why the ref entries - even with the Cyrillic replaced - are tripping up the programme. Update: Good news, I seem to have solved the problem. On a hunch, I ran the ref file editor in RR (as described at Steam4me) deleting duplicate entries and re-indexing, then allowed RR to save the ref file. I was then able to transfer files over from SMJ etc. without any error messages or a corrupted ref file. Just need to check the route still opens in the Editor and I'm back up to speed. I have taken a few screenshots of the "Industrial community" NG route, I'll come back and post a few later. 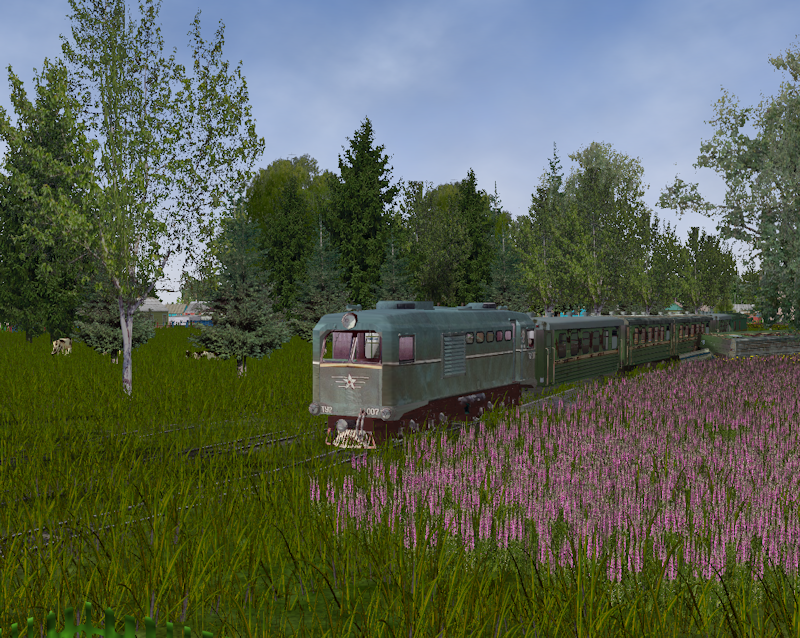 Those screenshots look fantastic, hard to think that is MSTS. Doubt my own efforts could come anywhere near that. Added to my "must try" list of routes, downloading all the bits now. The rolling stock looks excellent too - there's certainly enough resources there to have a crack at my own Russian ng route in due course. OldVern wrote: Those screenshots look fantastic. Mark, are there any activities for this route? Not that I can remember, I made some of my own activities, with the stock from relsomania. I'll have a look around to see if there are any available. Up and running in Open Rails with no issues. Although the files are all in .exe format (including the train sets) did not cause any unwanted nasties that I've noticed so all kosher. The route in a word, is... Inspirational. 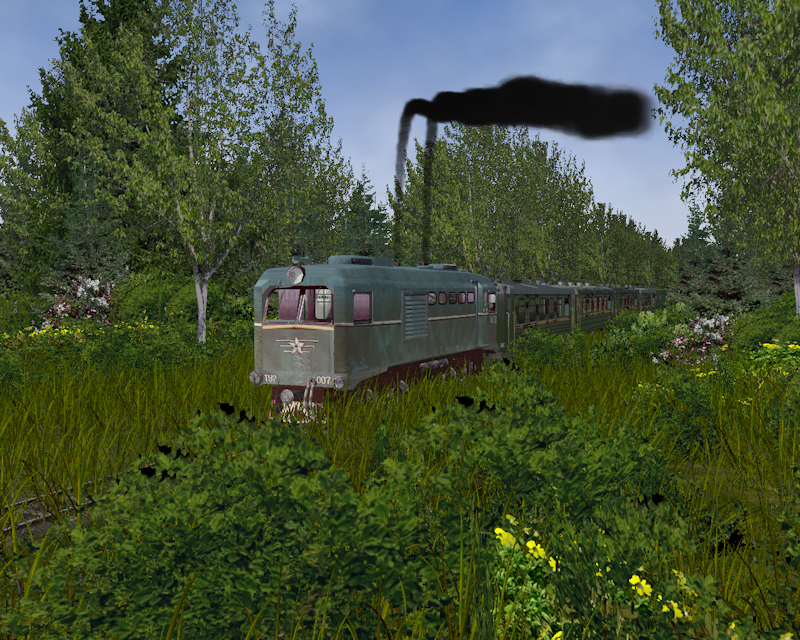 Sets a new benchmark for MSTS and, if I can say this on here, who needs Unreal Engine 4! The little TU locos are very well done and seem to have custom cabs and sounds. Only thing I noticed was they don't seem to coast all that well and soon slow down when you power off, so maybe something needs tweaking in the eng or wag files. Now in the process of putting the route on the development laptop as a reference and to use the assets in my own work. 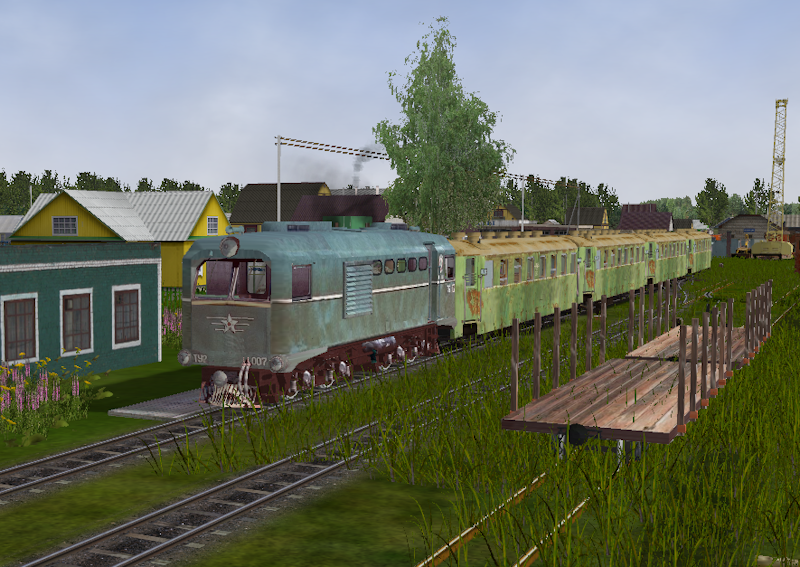 The readme is a bit vague on licencing but it looks like most of the scenery is what's on trainsim.ru anyway. I have a feeling my route building resolution for 2017 (aside from actually getting something beyond the stage of laying track) is going to be Russian, Balkan and possibly North Korean narrow gauge! Excellent! I'm always banging on about some folks obsession with "The Latest" and "NEW". Anything you didn't find or try before is "new" and sometimes the best of anything is NOT the latest incarnation of it?? The only snag I've found with the Russian route is that Route Riter doesn't like it. Can't seem to pick it up on "Confirm Route" and when I try to transfer shapes just goes into limbo. Won't build a reference file either as it says one is included even though I can't find one. Guess any useful items will need to be copied over and referenced manually. You should have a file called "UZD_Sh.ref" in the route folder, the route runs fine so I have never tried running it through routeriter, it's a case of "if it's not broke, don't fix it", sometimes routeriter can cause more problems than it fixes, especially if the route contains anything other than the standard Roman alphabet, or is of non standard set up. I would rename "UZD_Sh.ref" to "UZD_Sh.refbak" so you can restore it if there are problems, and that would allow routeriter to build a new .ref file. As for the trains not coasting very well, that may be deliberate, as a small lightweight old rusting loco on very rough overgrown NG track would be unlikely to coast very far anyway. I'm glad you liked the route, and found it inspirational, it will be interesting to see what you come up with. The ref file is present in the original installer, but one of the patches must delete it as definitely not in the route's root directory. As you suggest though Mark it might be wise to tread carefully to avoid a repeat of the snags I hit with the trees. The .ref file must be present, as routeriter has detected it and the route works, (it may be hidden) open the route folder and type in ".ref " into the search box, that should bring it up, if it is hidden, try the show all setting in folder options to show up any hidden files. I installed the original route quite some time ago, and then the patches as they became available over time, I don't remember anything happening to the .ref file or it being hidden. OldVern wrote: The ref file is present in the original installer, but one of the patches must delete it as definitely not in the route's root directory. I also have no .ref file after installing the route and the 5 patch files.